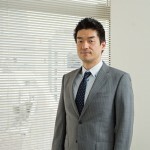 Saegusa & Partners is proud to announce that trademark and design department attorney Mr. Eiji Tanoue (Tokyo office) has been promoted to partner as of January 1, 2019. During his tenure at our firm, Mr. Tanoue has provided invaluable legal expertise to an array of world-famous companies, obtaining successful outcomes for his clients in even the most difficult situations. We expect great things from him in the coming years. Congratulations again to Mr. Tanoue.